Looking for one of the best laptops for video editing? Whether you are a professional editor or someone who dabbles in video editing for personal or commercial reasons, you need a good product that has a great display and sufficient power to perform heavy tasks. Though this may sound simple, it’s actually harder than shopping for gaming or entertainment laptops. The reason for this is because video editing is actually one of the most taxing tasks that can be performed on a desktop computer. So, finding a laptop for the same purpose is no easy task. Editing small home videos or small clips may not be that difficult, nor would it require a powerful laptop, but working on short films or professional videos is a completely different feat. You need a laptop that can not only pack a serious punch performance-wise but also have a great display with great colors and clear visuals. A lot of laptops feature screens that often create a specific tint on the display. You should never go for such a laptop if you want to do editing work. You want the laptop to have accurate colors and a high definition display with a great resolution. Apart from the display and performance you also, of course, want a laptop that looks and feels good too. Your laptop is essentially your workplace and you definitely want a workplace that will feel inviting instead of a machine that you constantly get frustrated about. If the laptop looks and feels good, chances are you will feel like working more, as it won’t feel like a chore. When buying a laptop you will use to edit the videos, there are several important things you will have to consider. Keep in mind that the best video editing software, won’t run smoothly if your computer is slow. You will need a great processor and graphics card. When it comes to RAM memory, 8 GB is a minimum, but if you decide to get a laptop with 16 GB RAM, for instance, the better. You always need to have enough storage space, so a 1 TB hard drive sounds like a good idea. That way, you won’t have to worry about how and where to store the material. The size of the screen and its quality is also important. Let’s see the best laptops for video editing. 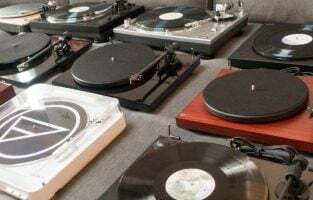 Getting a top quality laptop for video editing and rendering isn’t as simple as you may think because there are many great laptops available in the market, but we are going to share some of the best ones. 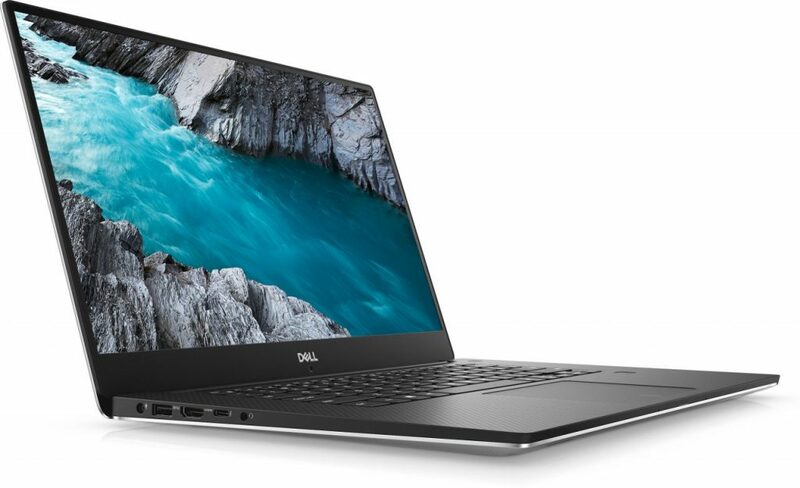 If you are looking for a 15 inch laptop for performing intense video editing tasks, then the Dell XPS 15 might be the product for you. It features an Intel Core i5-7300HQ / i7-7700HQ processor, a 4 GB NVidia GeForce GTX 1050, 8 GB / 16 GB RAM, 512 GB SSD / 1 TB HDD storage and an awesome 15 inch display. Design wise, the Dell XPS 15 looks very similar to its predecessor; the XPS 13 as the only key change is the refinement done on the keyboard. This laptop features very comfy keys and there’s plenty of space on the keyboard, making typing easy and convenient. The touchpad has a nice click to it. This may turn some off, but there are many who love their keyboards to be clickety-clack. One thing that stands out on the XPS 15 is the gorgeous display which features a pixel density of 282 ppi which is actually higher than the MacBook Pro which has 220 ppi. One thing though is the placement of the webcam which is on the left side due to the design of the display. This shouldn’t be a big problem as it’s more of an aesthetic issue than a functionality one. This laptop isn’t meant for high-end gaming but its more than enough for doing intensive editing work. The 4k display, 4 GB RAM and the Intel Core i5 processor will do a great job of providing sufficient power to allow you to edit videos with ease. Another good thing about this laptop is the improved battery life. For this model, Dell used a Kaby Lake processor and a 97Whr battery which is far more efficient than the previous 84Whr one. 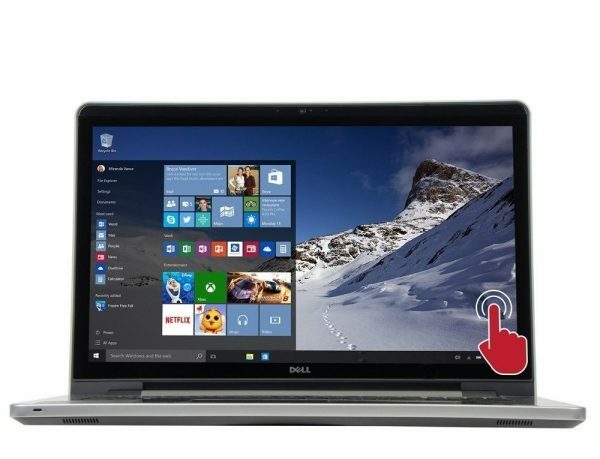 All in all, this Dell XPS 15 is a great choice if your primary need is video editing. It’s not by any means the most powerful machine available in the market, but you get great value for the price you have to pay. What makes it stand apart? If you like editing videos with a lot of power under the hood of your laptop, then there’s no doubt this laptop is the best, perfect choice for you. It comes with an Intel Xeon E3-1505M v6 processor, NVidia Quadro M2200/HD Graphics P630, 16 GB RAM, 512 GB SSD and a 15-inch display. It looks absolutely stunning with its sleek design, stylized HP logo and aluminum body. It weighs about 5.73 pounds, making it relatively easy to carry around. The weight is by no means negligible, but it’s great for the sheer amount of power this machine can give out. One great aspect about this laptop’s design is the number of ports it has. The left side has an Ethernet jack, 2 USB 3 ports and an SD card reader, while the right side comes with 2 Thunderbolt 3 connectors, a USB 3 port, an HDMI port and a headphone jack. So, if you like hooking up external devices when editing videos, this laptop will surely please you. The display offers brilliant, vivid colors and sharp visuals perfect for video editing. When you watch a 4k movie on this laptop, you will spot colors that you never noticed before. All this is because of HP’s award-winning DreamColor technology that allows the display to produce nearly 175 percent of the RGB spectrum which is pretty insane. The performance is where this laptop truly shines. If you go for the upgraded version with 32 GB RAM, this laptop will glide through intense editing work like a hot blade on butter. When it comes to sheer power, it absolutely crushes most of the popular notebooks at the same price point. However, with all this power, you will lose out on battery life. 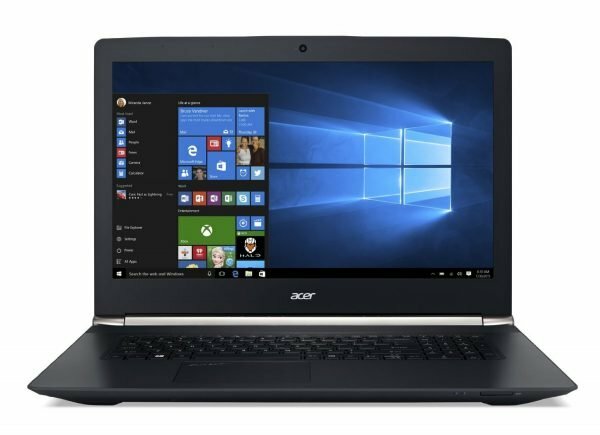 The average battery life of notebooks in this range is usually 7 hours, but this laptop goes for only 4 hours and a few minutes. It’s a small price to pay however for the immense power it packs. 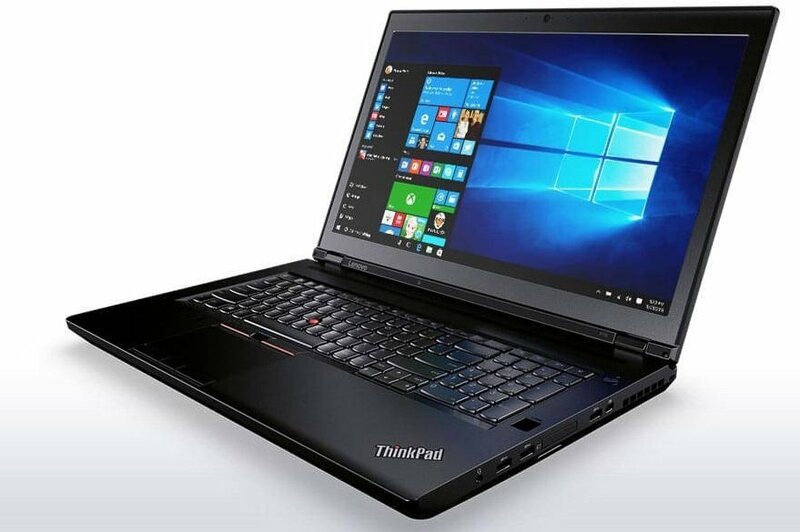 The Lenovo ThinkPad P70 features a 2.8 GHz Intel Xeon E3-1505M v5 processor, a 2 GB NVidia Quadro M5000M, 16 GB DD4 RAM, 1.024TB (2x512GB) SSD storage and a 17.3 inch display. This laptop was the first in the market to come with the Intel’s Skylake processor, which is in many ways far better in performance, than the standard Broadwell and Haswell chips. 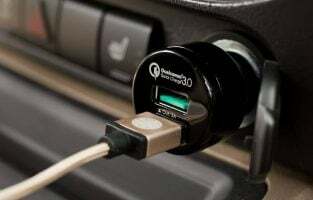 One part where this product is unique from its competitors is the extraordinary amount of storage space you get, as well as a wide array of ports for connecting external devices. Design wise this laptop surely isn’t one of the sleeker thin ones on the market but if your job is to edit videos then performance and a great display is far more important. The Lenovo ThinkPad P70 offers you everything you need to have a great video editing experience, as it offers a great 4k display, amazing performance and plenty of ports to attach any external add-on devices. You get 4 USB 3.0 ports, an HDMI DisplayPort 1.2, an Ethernet jack, microphone and headphone combo jack. What’s great about the display of the P70 is the X-Rite calibration tool that sits on the keyboard deck. It can be used to calibrate the colors appearing on your screen, so you can get them to accurate levels based on your work needs. This, coupled with the great power you get from the Xeon processor, makes for one great machine that can perform intense tasks with ease. Another great aspect of this product is that you can configure the storage space to get about 3 TB total storage, which is great if you work with large video files. Usually, when people hear about Apple products, there is a common belief that the particular product in question is expensive. 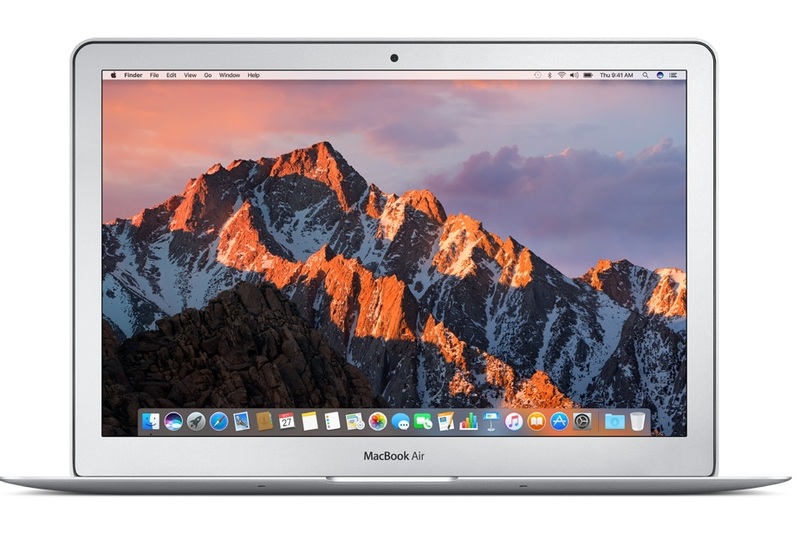 While it is true in many cases, the MacBook Air is the exception and is one of the most affordable laptops in the market today for editing purposes. The MacBook Air comes with an Intel Core i5, Intel HD Graphics 6000, 8 GB RAM, 128 GB / 256 GB SSD storage and a 13-inch display. While it is far more powerful than the previous Air models, it is, however, important to note that this product is more for amateur editors and those who usually have to work on relatively smaller files. The MacBook Air has enough power to help you with your editing works. However, it isn’t made for exceptionally intense tasks. 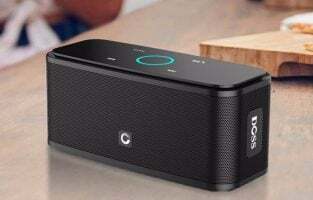 Moreover, the speakers are pretty mediocre compared to other products in the same price range. The trackpad offers a nice and fluid feel, making navigation a great experience. What makes this laptop unique is the number of ports which is more than what you usually see on MacBooks. The bundled software also allows you to get some assistance when it comes to editing videos. All in all, when you look at the amount of performance you get, the great display, the bundled software and a great battery life of nearly 13 hours for just $1000, the MacBook Air is a great laptop to have. The Lenovo Yoga 720 is perhaps the most affordable and best value Windows laptop in the market today, with an Intel Core i5 / i7 processor, NVidia GeForce GTX 1050 graphics, 8 GB / 16 GB RAM, 256 GB / 512 GB SSD and a 15.6-inch display screen. It really combines features and price at a great sweet spot, to give us a product that offers great value for the amount we have to pay. Moreover, you also get the added functionality of a 2 in 1 laptop. This laptop looks absolutely gorgeous and it feels like your favorite pillow; comfortable and addictive. Once you use it, you really don’t feel like going away from it. It has a very durable body, but it doesn’t look bulky at all. You can rotate the screen to the angle you wish and enjoy your favorite content no matter where you are. The base model comes with only a 1080p screen, but you do have the option for a 4k display if you need it. When it comes to performance, the Lenovo Yoga 720 crushes everything in its path. When you compare it to its competitors, it demolishes them even with half the RAM. 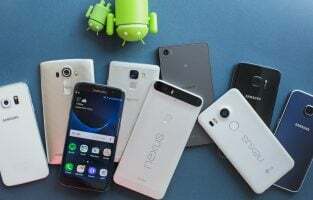 It may not beat the most intense performance tests, but it easily offers as good or greater performance than products that come at a higher price. For the price point it comes at, it is an absolute beast. As far as the battery life is concerned, the Lenovo Yoga 720 does a decent job of providing up to 7 hours with medium usage. What makes this laptop such a great value is that it offers a good bit of everything to give us a well-balanced, powerful and affordable product perfect for editing needs. 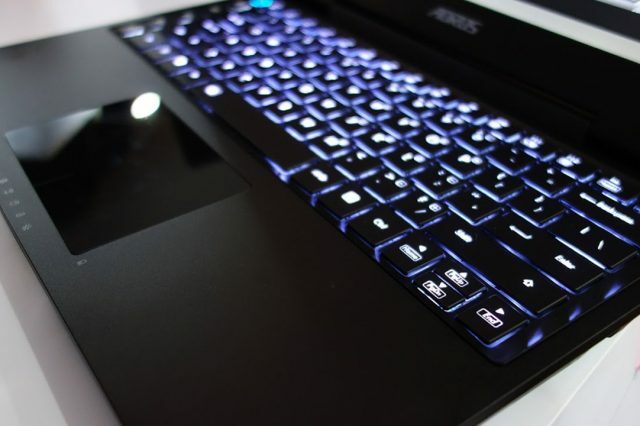 In the world of top quality laptops, Asus is one of the leaders. 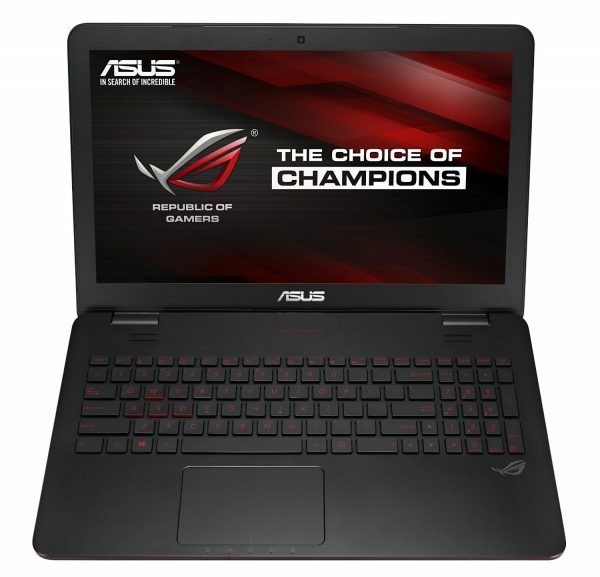 This model, ASUS ROG GL551JW-DS71 15.6-Inch has the Intel Core i7 processor (2.6 GHz), 16 GB RAM, 1 TB HDD storage and NVIDIA GeForce GTX 960 M Discrete graphics, which makes it one of the best laptops for video editing and gaming. It runs with the Windows 8.1 Operating System. 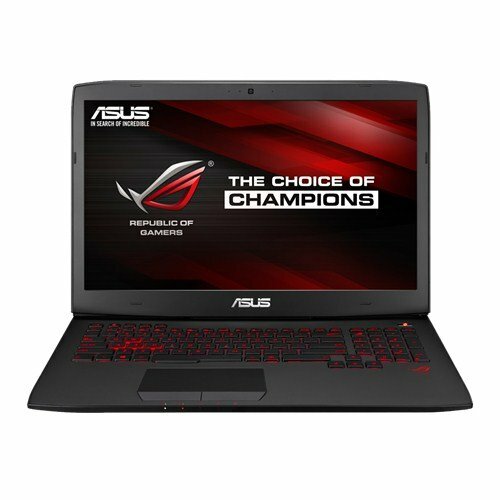 If Asus is among your favorite brands, but you are looking for a screen that is bigger than 15.6-inch the model above has, then you should consider ASUS ROG G751JL FHD 17.3 Inch Laptop. 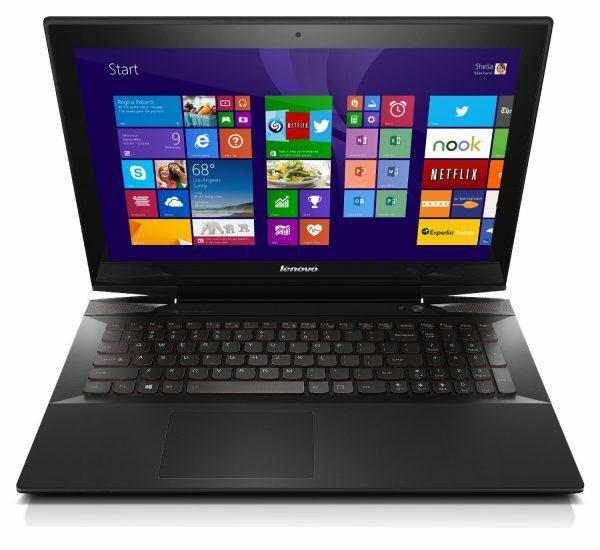 This one comes with the Intel Core i7 processor (2.6 GHz), 1 TB HDD, NVIDIA GTX965M, and 16 GB RAM. It runs Windows 8 operating system. It is available on Amazon with a free upgrade to Windows 10. 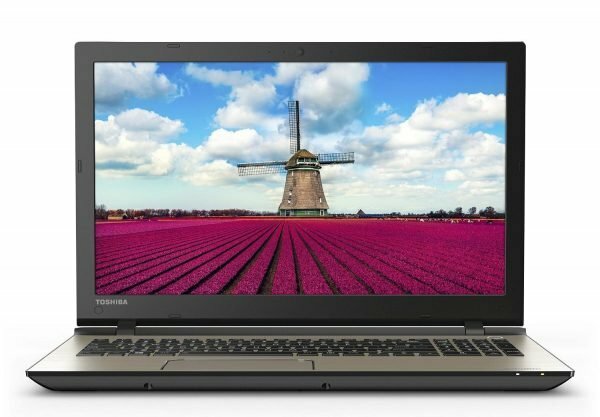 Another excellent laptop that is on the list of the best laptops for video editing is Lenovo Y50 UHD Touchscreen Laptop. 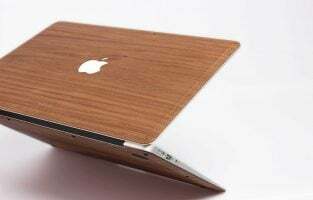 It comes with the Intel Core i7 processor (2.6 GHz), NVIDIA GeForce 860M graphics, 256 GB solid-state drive, 16 GB RAM, and a 15.6-inch screen. 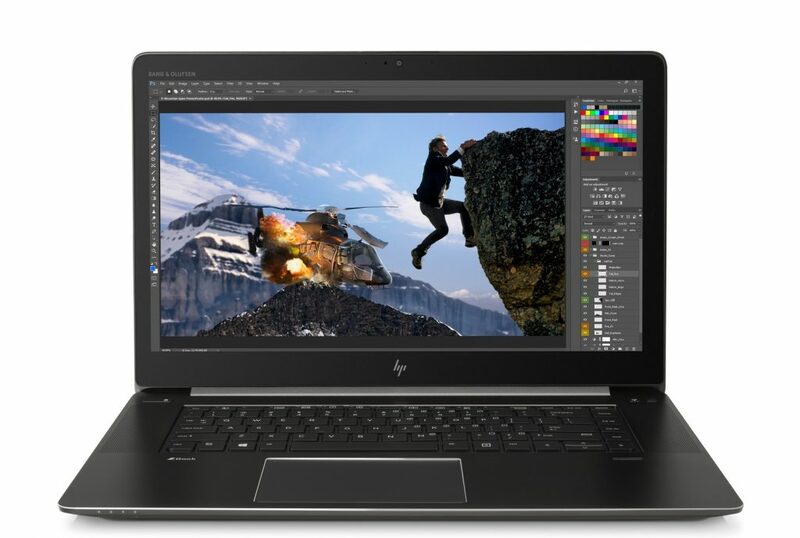 Editing videos on this laptop will be a completely new experience, and if you like to play games this might be the machine for you as it is among the best. It runs Windows 8.1. It is hard to imagine any list of the best laptops or phones without Apple’s products. 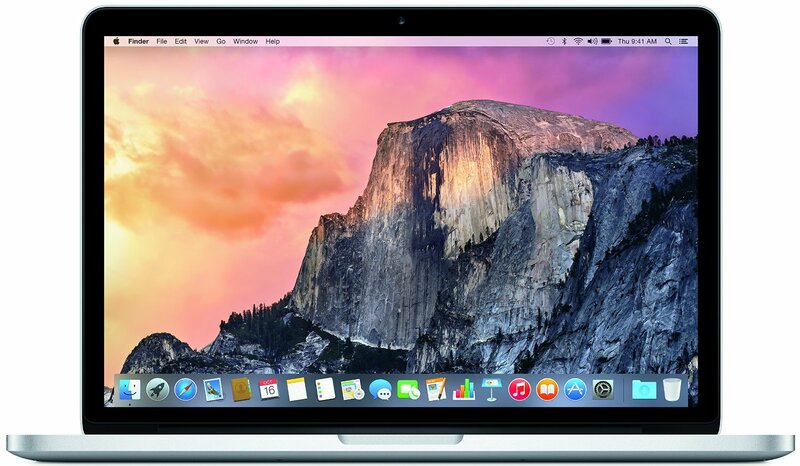 Apple MacBook Pro with Retina display is a great choice for video editors. This laptop has an Intel Core i5 processor, 8 GB RAM, 13.3-inch Retina display, and 512 GB of storage, with up to 10 hours of battery life. It runs OS X Yosemite. When it comes to powerful laptops for video editing, Acer Aspire V17 Nitro Black Edition deserves to be on the list of the best ones. This model comes with the Intel Core i7 processor, 16 GB RAM, 1 TB hard drive, NVIDIA GeForce GTX 860 M, 17.3-inch screen and 4-hour battery life. Windows 8.1 is the operating system. 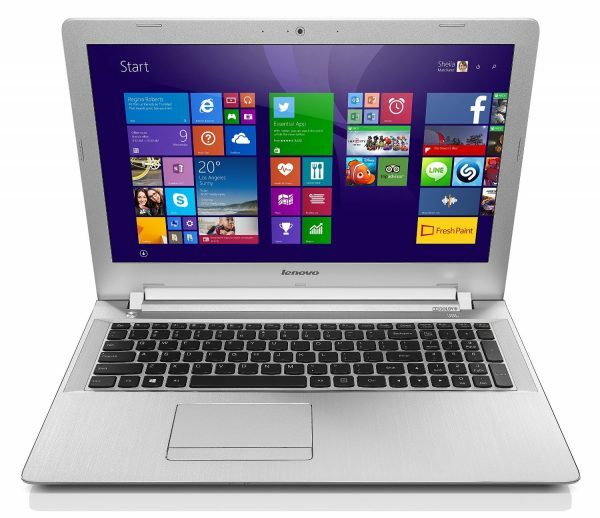 Toshiba Satellite 15.6-inch laptop is an excellent choice for those who are looking for laptops for video editing. It comes with Intel Core i7-5500U 2.4 GHz Processor, NVIDIA GeForce GTX 950M Graphics, 1 TB 5400 rpm Hard Drive, and 12 GB RAM. Its price starts from $1,339. If you have a limited budget, this laptop is a great option because it comes with all the essentials for video editing. It has a 5th generation Intel Core i5-5200U 2.20 GHz with turbo boost technology, Intel HD Graphics 5500, 1TB 5400 RPM SATA Hard Drive, 8GB RAM, 10-finger multi-touch support, backlit keyboard, and HD LED-backlit touchscreen. Another best option to look for that is powered with Intel Core i7-5500U processor, 16GB DDR3 RAM, 1 TB HDD storage to offer you the smooth experience. The screen is big 17.3 inches with 1920×1080 resolutions inches and runs on windows 8.1. Video editing is a great experience in this model and you can do that with the extreme comfort level. When it comes to video editing, it comes down to having the right tools. With bad tools, you can spend hours or even days working on a single file, only to get frustrated and tired at the end product and experience. You may think that something as intensive as video editing may require an incredibly expensive high-end system, but in today’s market, you can get yourself some awesome deals. The level of competition is so great in this space that every company has to innovate and offer more affordable products to dominate it. With a little bit of research and browsing a few reviews here and there, you can get a good idea of what will work for you. These are some of the best laptops for video editing and all of them have powerful processors, enough RAM, and storage space. All these features are providing outstanding performance, and it will allow you to edit the videos smoothly.